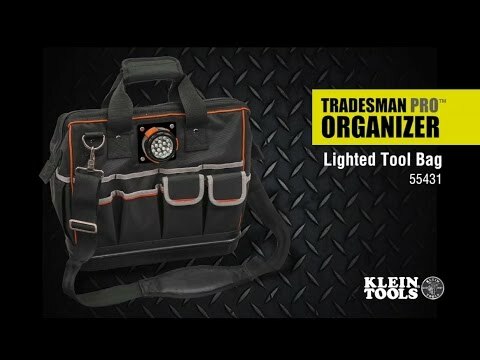 Illuminate inside your bag or your workspace with the Klein Tools Tradesman Pro Organizer Lighted Tool Bag. It features a removable LED light that can be positioned to shine inside or away from the bag. The light also has a hook and magnet for hands-free use.